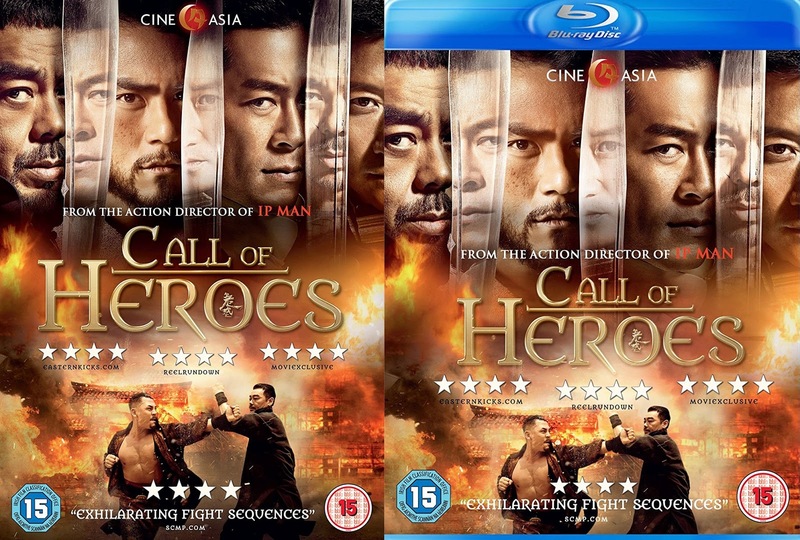 Call Of Heroes is out on DVD and Blu-ray on January 2nd And to celebrate we have a great competition for you and 1 copy of the DVD and 1 Copy of the Bluray version to give away. Blistering, epic-scale action from director Benny Chan (NEW POLICE STORY, SHAOLIN), with action director Sammo Hung (IP MAN, DETECTIVE DEE: MYSTERY OF THE PHANTOM FLAME). Call of Heroes thrills throughout in its tale of skilled martial artists, who take a stand to protect their village against a ruthless army. In 1914, after the collapse of China's Qing dynasty, Yang Kenan (Sean Lau Mad Detective) is appointed as guardian to defend the rural village of Pucheng. After Yang arrests the son of a sadistic warlord, Cao Shaolun (Louis Koo Flash Point), the warlord s army threatens to bring death and destruction. As the odds for peace lessen and the pressure mounts for Yang to release the murderous captive, a stirring tale of heroic resistance unfolds.